Investigating the best ecommerce tech for your retail business? I’ve implemented, tested and managed dozens of fantastic cost-effective ecommerce marketing tools. From email service providers, to ecommerce platforms to data insight and social proofing. I’m here to offer my independent advice on what suits your budget. Drop me a line, I’m here to help. For retailers, 9 times out of 10 mailchimp will offer you everything you need. However. When you want to take your ecommerce email growth strategy to the next level I highly recommend Klaviyo. Klaviyo is my go-to email software for ecommerce businesses when they’re ready to get serious with email marketing. Powerful audience segmentation has never been so easy. Start sending the right message to the right person at the right time. Whilst a greater investment than Mailchimp’s Pro Marketer suite, Klaviyo, used correctly, will give you the opportunity to create impactful email workflows that target with precision and give your customer’s a truly personalised experience through your email newsletter. 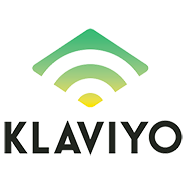 You can take Klaviyo for a test-drive with their free (sub-100 subscribers) account to get a good understanding of the capability of their email software. Integration with Magento and Shopify is simple. Give Klaviyo a try now. It’s unobtrusive and simple to implement (whatever platform you use) and cost-effective with plans starting at $19 a month. Fomo presents your website visitor with a small popup that notifies them of recent orders placed by fellow customers. It’s a great tool to demonstrate that your ecommerce website is active. It also can be used to direct visitors to current trending products. All very handy. Whilst the minority of websites are using tools such as FOMO, I highly recommend you give this tool a whirl. The internal reporting will help you gauge success. 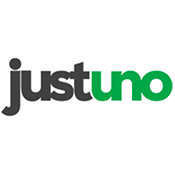 I’ve started using Justuno on a few client sites and I’ve been so impressed by the success and ease of the product (plus the price). Pricing starts from just $19/month and you receive access to a superb interface to allow you to integrate discounting and email signup on your exit overlays. Optimonk offer a simply to integrate solution for ecommerce businesses to begin onsite retargeting with exit intent technology. I’m a big fan of the realtime analytics as well as the easy to use split-testing. Plus, standout graphics ensure your discount messages are seen and acted upon. There’s straightforward pricing on offer based on your website’s traffic volume starting from $29 for 5,000 visit ecommerce websites. Picreel is great alternative with some very smart templates included. Easy to integrate with all the popular email marketing platforms. Simple setup and a great advantage being able to split-test your copy. You can pay monthly based on pageviews (very reasonably priced) or save 25% with a yearly subscription. Click here to register for a free 30-day trial – it takes minutes to get started. I’ve trialled, tested and experimented with dozens upon dozens of customer review and social-proofing platforms. 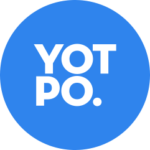 Easy to integrate with the leading platforms, eg Shopify and Magento, you can customise the look and feel of Yotpo ’til your heart’s content. Out of the box, it’s a brilliant addition to your website too. A little pricier than the competition. And for good reason. Yotpo is an investment in your brand. Used wisely, with an arsenal of valued reviews and recommendations generated you will quickly see a return using Yotpo. Interested in finding out more? Give me a call, happy to help. I’ve experienced a few integrations of Nosto over the past months and ecommerce clients are delighted with the response (in terms of conversion & revenue). Nosto works with the likes of Magento & Shopify to enable a product recommendation engine that learns from existing website buyers and their behaviour. The product recommendations can be presented on your homepage, category or product pages to encourage visitors to discover products they will be interested in. The Nosto business model works on a straight % of sales that are generated through a Nosto click. It’s a win/win. For me, it’s all about Shopify. There are many reasons. The price. The customisation. The ease. The beauty of Shopify is the simplicity with which you can integrate the superior marketing technology to create an all-round customer-centred shopping experience. I’m available at any time to talk you through the options you have choosing a platform for your ecommerce business. Looking for a rewards programme for your ecommerce business? You’ll love Smile.io (formerly SweetTooth). Starting at just $59/month, Smile.io allows you to offer rewards points when customers register for newsletters, share on Facebook or purchase from you. Easy to setup on all popular ecommerce platforms, Smile.io, gives you an excellent opportunity to initiate and reward loyal customers with points that can be exchanged for discounts. It’s a serious piece of kit for your customer retention strategy. Host user generated content from Instagram on your own website in any format you’d like on both product pages (specific to the content) or your homepage. Google Optimize will change the way ecommerce businesses approach split-testing. Recently launched out of beta, Google Optimize allows you to run a/b and mvt optimisation programmes with ease. There are no limits to traffic volume and you have the ability to run 5 experiments at any one time. The biggest benefit is the ease of integration with Google Analytics to track the success of your a/b testing through your existing Analytics account. Go register today – it’s free. I’ve been using CrazyEgg for years. Very simple to implement and the variety of insight you receive including scrollmaps and confetti maps offer huge insight into what’s happening on your website. Plus, you can segment data by referrers and view data from Mobile and Desktop users. Well worth investing in. Zarget offer a complete CRO suite. However, it’s their dynamic heatmaps that are really useful so you can track drop-down menus and carousels (for those of you that swear by them…) There’s a 30-day risk-free trial offer for you to take up too. Prices start from $15/month with a further discount for a yearly registration. Settle design debates with data. It’s their value proposition, not mine, and it sums up the User Testing software perfectly. You can quickly create 5-second test which you can run on pre-defined audiences to gain clarity on how people interpret what you do. It’s always an eye-opener. You upload your screenshot and in choose the response size and demographic. In a few days you’ll receive feedback (also a word cloud to visualise data) that will change the way you market your business. You can spend hours reviewing the actual website paths of your visitors. HotJar allows you to filter user journeys based on landing pages, referrers, time on site as well as a host of ways to view desktop and mobile journeys. The visual representation of what’s actually happening on your website will help you quickly identify conversion roadblocks. top tools for quick analysis of your site’s viewed on multiple browsers and screens. Ever looking at the browser reports in Google Analytics to monitor conversion success? If particular browser’s are flagging you’ll find the insight you require through CrossBrowserTesting. For most companies the cost will be less than $30 a month and the insight you extract will ensure this is a great tool to add to your CRO toolbox. Qlik – pull data from numerous sources (inc. Google Analytics, Adwords, Facebook Insights & Twitter) to cleanly present reports and quickly interrogate key data. Qlik is comfortably priced and allows you to drag online data into the real world with ease. Tableau – another great platform that helps you share data in a format your colleagues can quickly relate with. Flat yearly pricing and a range of product variations to choose from. Highly recommended for ecommerce data interrogation. I partner with a variety of ecommerce brands to help review and recommend the most appropriate marketing tools and technology for their website. Learn what tools will help drive sales through your ecommerce website. Discover the technology that will lift you ahead of the competition and deliver a better customer experience. Contact me today.